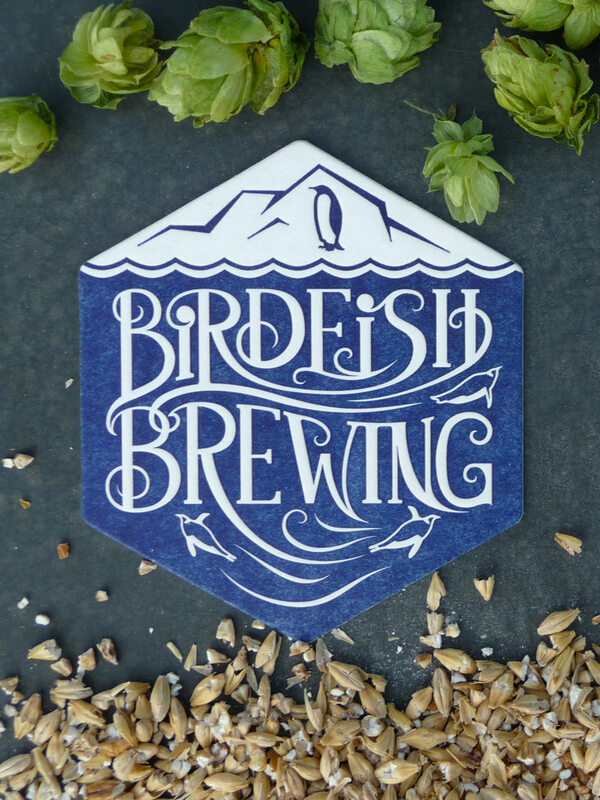 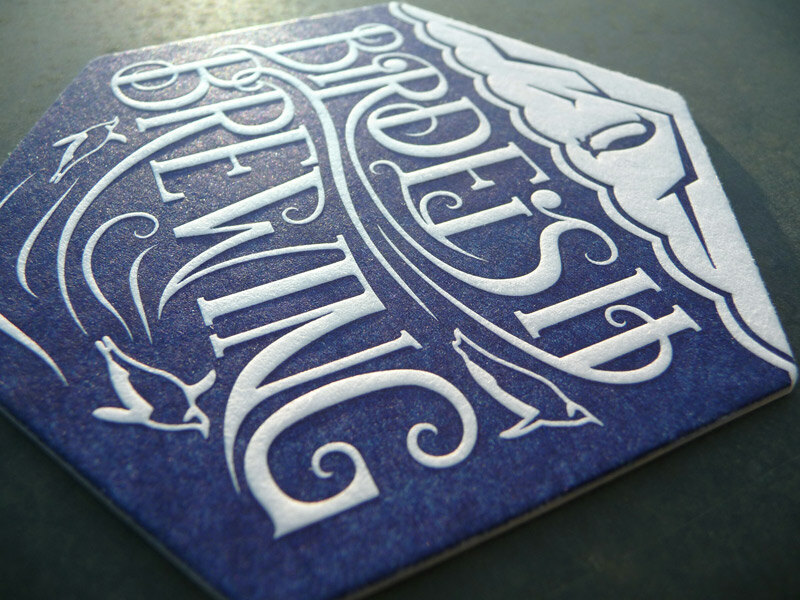 Birdfish Brewing is a new craft brewery starting up in Salem, Ohio. 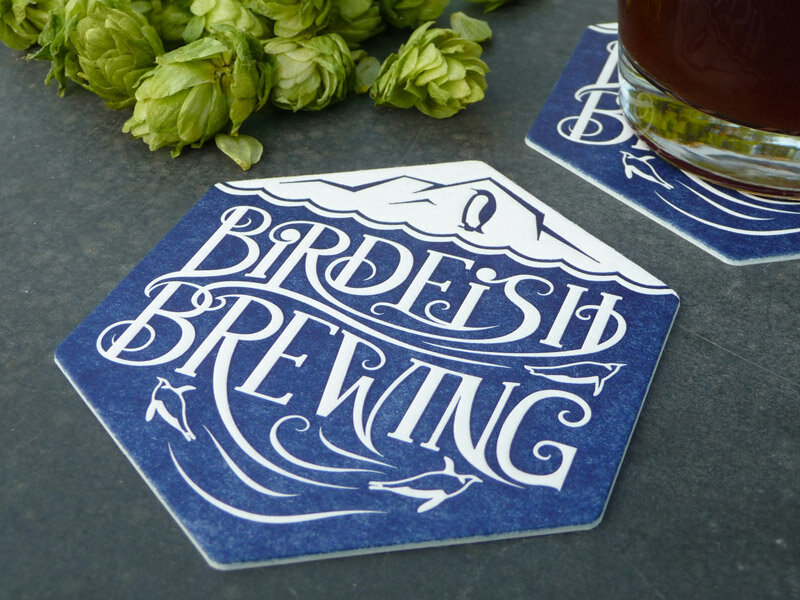 With brews like dandelion shandy and a spruce tip Christmas porter, they are definitely doing something right! 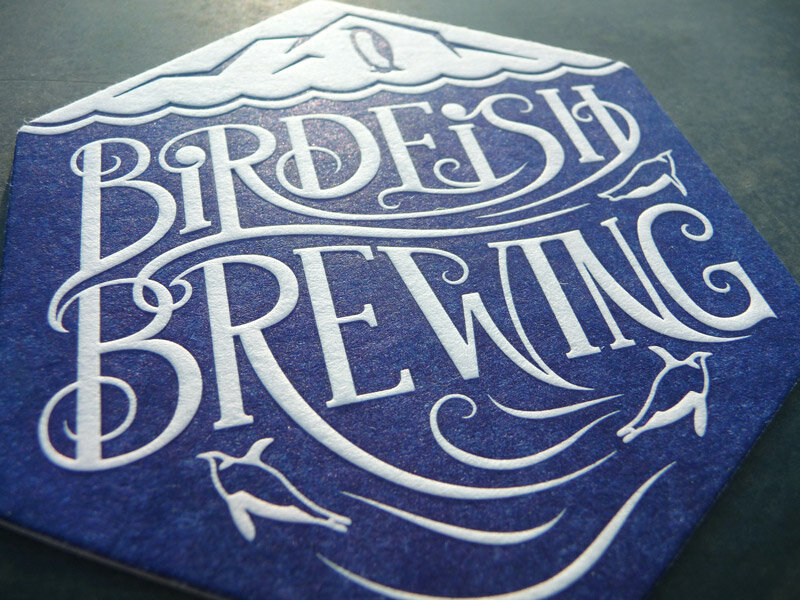 Their name derives from their unique proximity to two sports teams with penguin mascots; the YSU Penguins and Pittsburg Penguins. 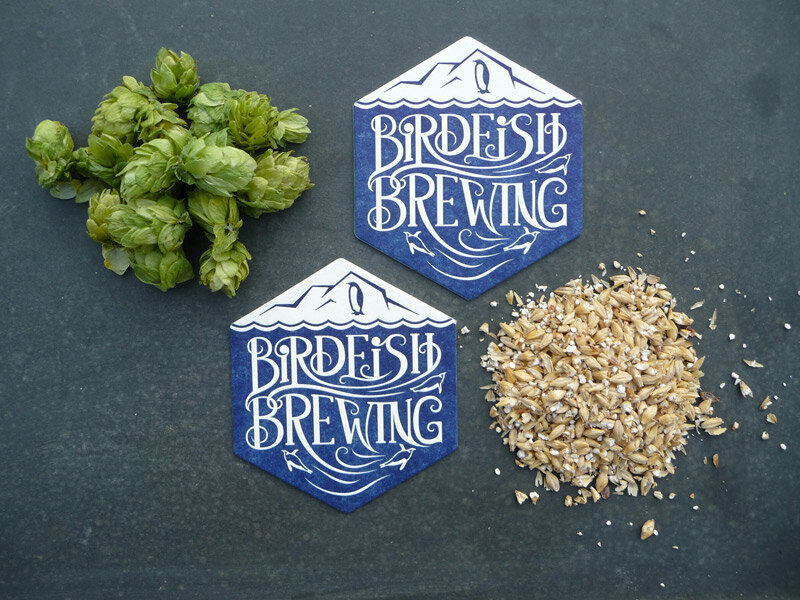 We did this as a fun promotional piece for them as they secure investors and search for a location for their production brewery. 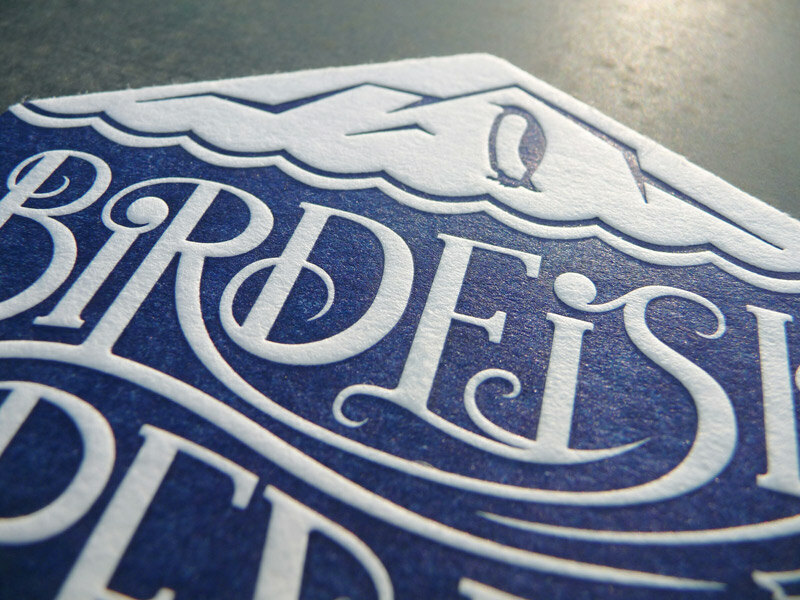 Building off the penguin motif, we hand-lettered the type to swirl like water as penguins ply the briny Pantone 540 blue. 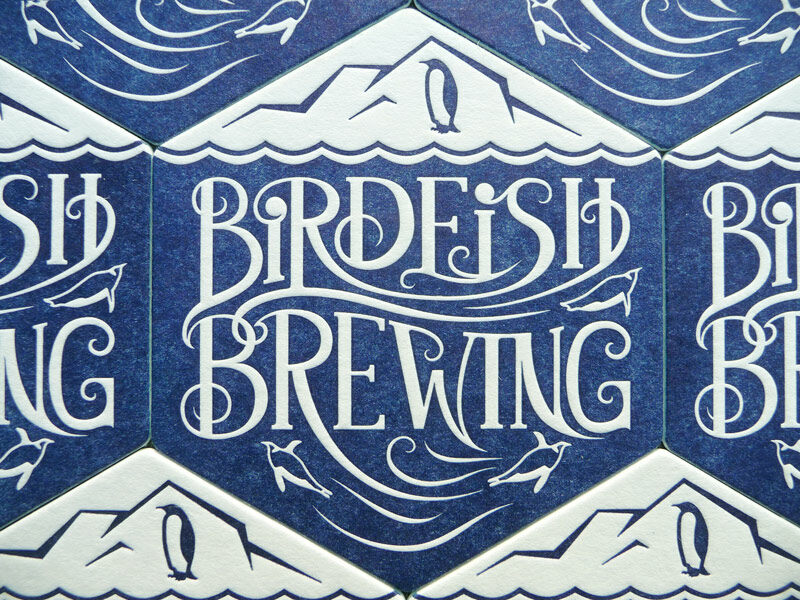 These hexagon coasters were letterpress printed by Cranky Pressman, also of Salem.